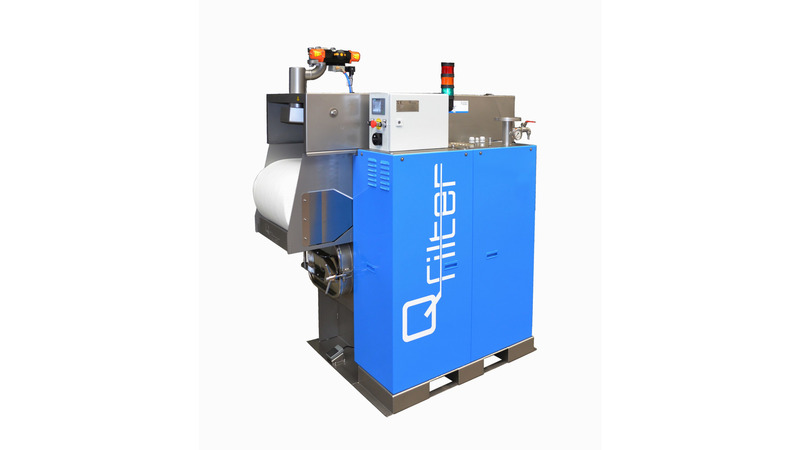 Q-Filter® is the solution for the filtration of valuable fluids like acqueous cleaners and machining coolants. 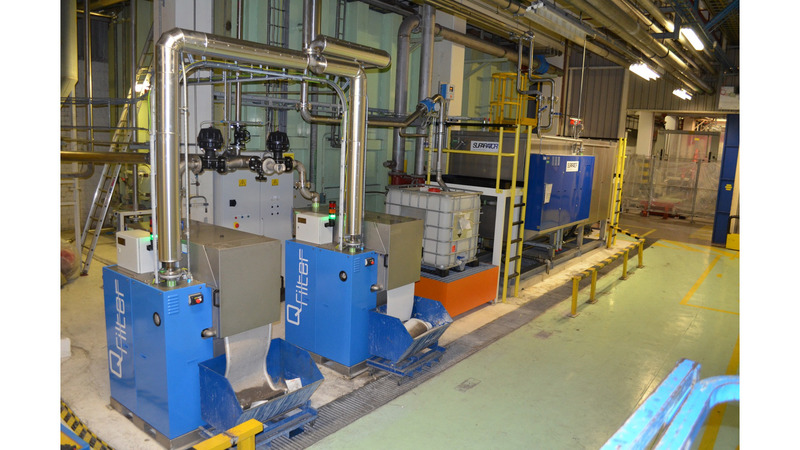 Integrate Q-Filter® with your process and the medium remains clean. Your advantage: cost savings and product quality improvement. The unique transportsystem takes care of a trouble free installation and transportation of the filter cloth. You can choose from a wide range of qualities and types of filter cloth so you can use the one, most suitable for your application. The intelligent control system controls the filtration process and the pressure drop over the cloth. This prevents compression of the cloth and promotes the formation of a filter cake; you can remove more dirt with less filter cloth. The perfect sealing and the formation of a filter cake result in a much finer filtration. So you remove more and finer dirt and you keep your medium clean. 1. You need only half the floor space. 2. Effective. Your filter usage remains low through optimal control of the filtration process. 3. Efficient. You get a much finer filtration thanks to perfect sealing and process control. 4. Energy efficient. You only use less than half the energy. 5. Economical. With a limited investment you get low operational cost and long medium life time.